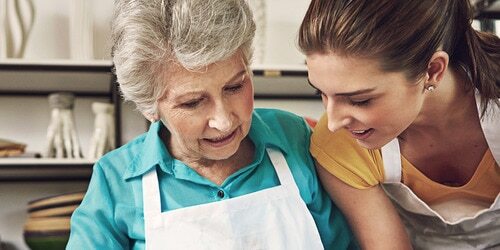 Family care giving: advice from experienced caregivers. As a caregiver, there will be times when you feel overwhelmed. Days when there seems to be just too much to do. And you wonder, how will I get through it all? Millions of people face such challenges daily in their caregiving. The good news is that many experienced caregivers have found a practical way to improve their situation: planning. Good planning will help you take better care of your loved one, and avoid getting overburdened. You can make it easier for yourself by using TENAs free Care plan template (PDF). 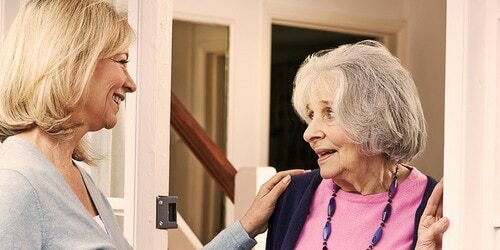 First of all, have you enlisted the support of family members, friends or professionals in your caregiving? If not, read Sharing the caring. It’s good to work with your support team when preparing your caregiving plan. Then you can decide on who will do what and when. Below is a list of the tasks you’ll need to consider. Try to split them so that they fit in with your personal life. Then follow your plan in the coming weeks and months. After planning, you’ll probably discover that your caregiving work becomes easier. You’re likely to feel more confident and in control. Your loved one will also sense that you have things under control. And that will help her or him to feel satisfied, safe and secure. 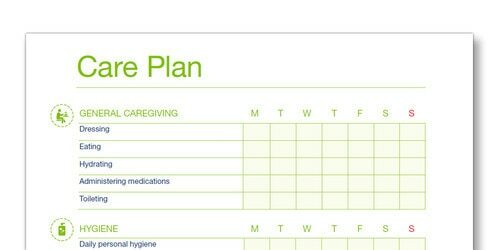 Download our free care plan template here.